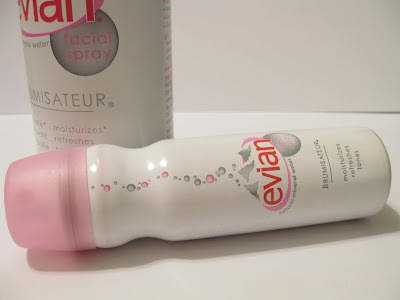 Today I'm reviewing my beloved Evian Natural Mineral Water Facial Spray. I've been using this for well over a year and have been loving it so I figured it was time for a review. 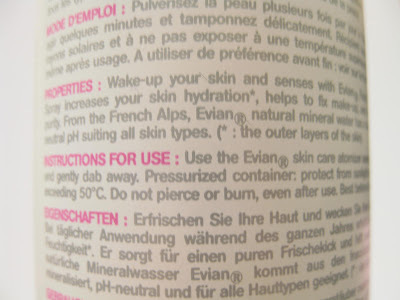 This can be found at drugstores, Sephora, and Drugstore.com. Now I know most people will think this is just water, but let me tell you –it does a whole lot. The Packaging: Cute and simple. The spray comes in a white aerosal can with the Evian logo and a clearish pink cap. The Product: The description on the can states that the spray is supposed to “increase skin hydration by 14%, help to fix makeup, and offer you constant freshness and purity. 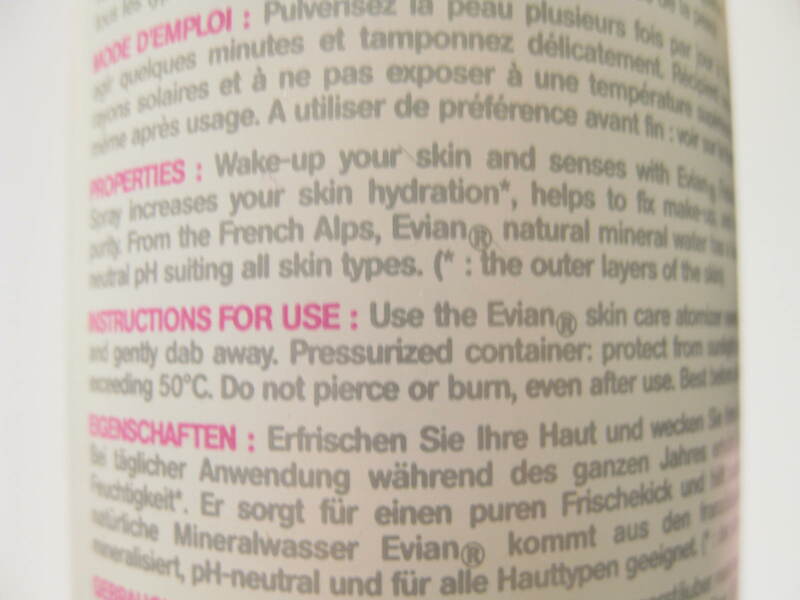 From the French Alps, Evian natural mineral water has a balanced mineral composition and neutral pH suiting all skin types.” Sephora describes the spray as a “cool mist that rehydrates skin suffering from overheated air. It also revives your makeup throughout the day and keeps you looking fresh by replenishing that much needed moisture. It removes perspiration, harmful salt or chlorine, and instantly soothes and rehydrates sun-burned or wind-chapped skin.” The bottle also lists that the spray tones the skin. 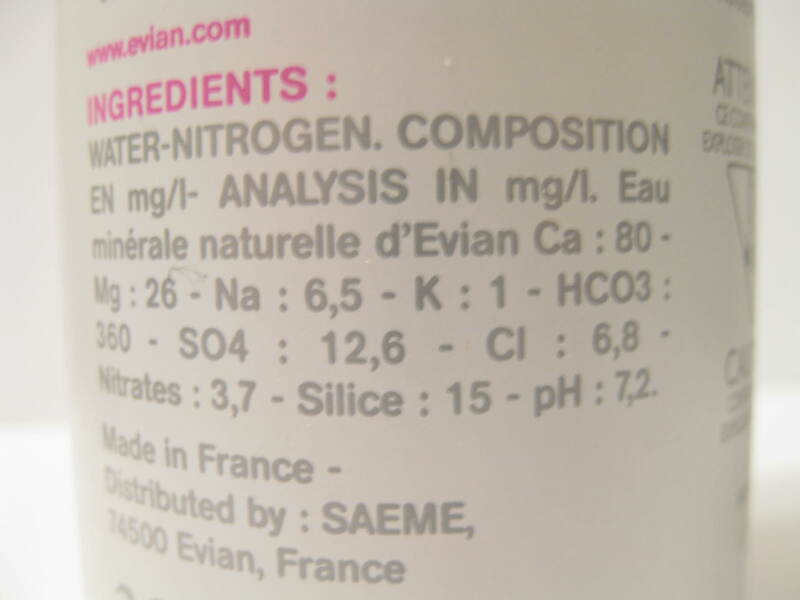 The ingredients are listed as “water nitrogen composition” so this is just plain old mineral water BUT let me tell you, I still love it. FYI, MAC Fix +, something that is often compared to the Evian spray, contains green tea, chamomile, cucumber, and “vitamins and minerals” and has an “energizing Sugi scent.” It does have a refreshing scent but I don’t mind that Evian has no scent. The spray is really handy. I use it before I put on my moisturizer and apply my makeup and then I use it again to set my makeup. I can also use this to apply my makeup “wet.” For example, if you want to use a MAC Mineralize Eye Shadow or some sort of other shadow that you can apply wet, you can spray some of this onto your brush and the outcome is absolutely stunning. I also use it to fix my makeup during the day if it’s starting to fade and it really helps to “liven it back up.” Another use is for when it starts to get hot out –it really freshens up the skin and is super refreshing. I use it on my little brother and sister, my friends –even the big boys love it (my boyfriend, other guy friends, etc.) 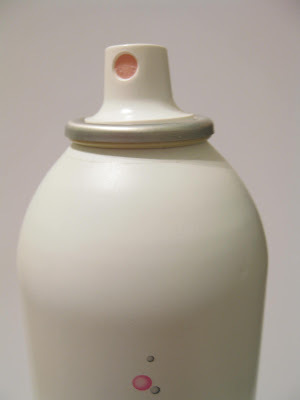 And it’s not just great for the hot, sunny days –it hydrates and moisturizes chapped winter skin too. Compared to MAC Fix +, I like this better –even though Fix + has all of those fancy ingredients. 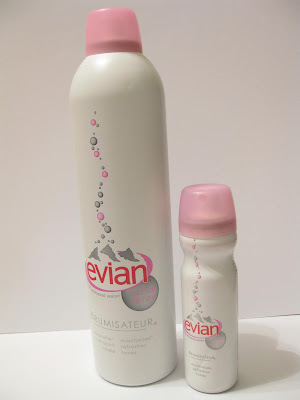 As I’ve owned both, I really don’t see any differences between Fix + except for that the Evian spray is way cheaper, comes in more sizes (1.7 oz, 5 oz, or 10.1 oz), and for whatever reason feels more refreshing to me. It also seems to work better at “smoothing out” cakey makeup. MAC Fix + does have a refreshing scent but I prefer the scentless Evian spray. Oh and I have to say that this stuff lasts forever. I’ve been using the big 10.1 ounce for over a year and I still have over half a can left. Also, this stuff does have an expiration date (listed at the bottom of the can) so beware of that. Overall: The bottom line? This is one of the staple products in my makeup drawer and I highly recommend it. It’s a great multitasking product and it comes in a travel size so you can bring it anywhere. It moisturizes and refreshes in a breeze and gives fading makeup a great “pick me up.” This is also a must when traveling –particularly if you’re stuck in a stuffy plain with a bunch of sweaty passengers. It’ll really fix up your skin by hydrating it and make you feel super fresh and clean. 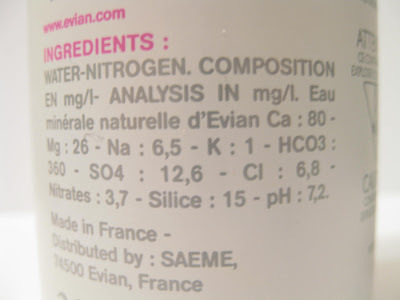 Hey, thanks for your review on the Evian spray. I use Mac Fix but I was looking for an alternative. This will be perfect for me. You're welcome. =) Hope it works well for you! It must feel so good on a hot day. Do you keep yours in the fridge? It feels awesome on a hot day!! Especially if you're out like at an amusement park or something. I haven't heard about keeping it in the frige although it sounds like a good idea since you keep bottled water in there. I keep mine in my room in a cooler, shaded area. 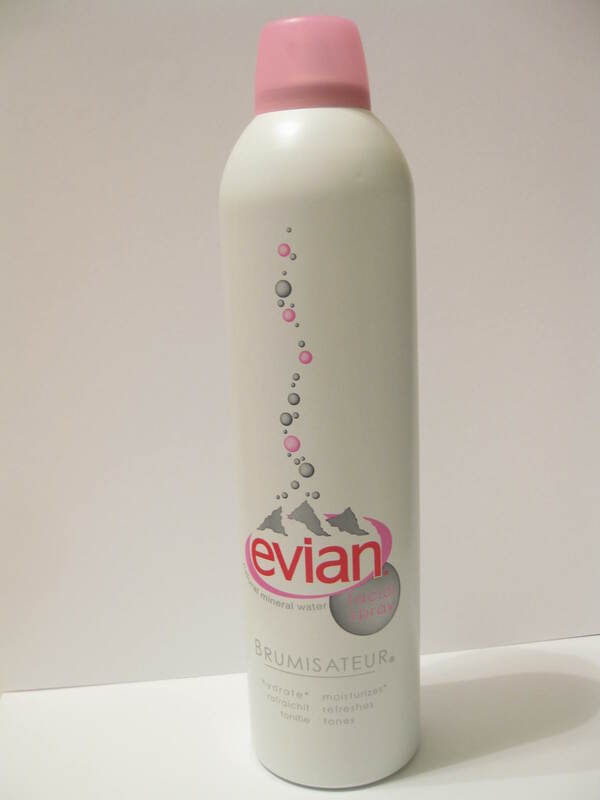 I've heard nothing but good reviews about Evian mineral water spray! I can't wait to pick up a bottle for myself. PS - keep up the great "affordable" beauty product reviews! Definitely pick one up! The huge 10 oz is the best value and will last you well over a year. The travel size is great to so you can carry it in your purse! Even though I've been reading tons of positive reviews for this product, I still wonder about it... Do you use this with mineral makeup only? I'm using liquid foundation so it seems weird to me that I would spray this onto my face this 'set' the makeup. Hey there.. No, you don't have to use this with mineral makeup. You can use this for a bunch of different reasons. I've used this over liquid foundation/tinted moisturizer and don't worry, it doesn't "ruin" your makeup -it sets it giving t a finished, polished look. This also "fixes" makeup. You know sometimes how in the middle of the day, your makeup can start smudging and running? Well when you spray a bit of this on, it helps clean it up making it look better. You can also use it for applying your eyeshadows wet whether they're pressed, baked, or mineral shadows. What I do is I spray a bit on my brush and then dip the brush into the eyeshadow. One of the main reasons why I love this is because it's refreshing -especially for the summer. If you're just going to be out and about all day in the sun, a spritz of this will feel VERY cooling and relaxing. Hope this helps! =) If you have anymore questions, feel free to email as I can further go into detail. How long did a bottle last you? 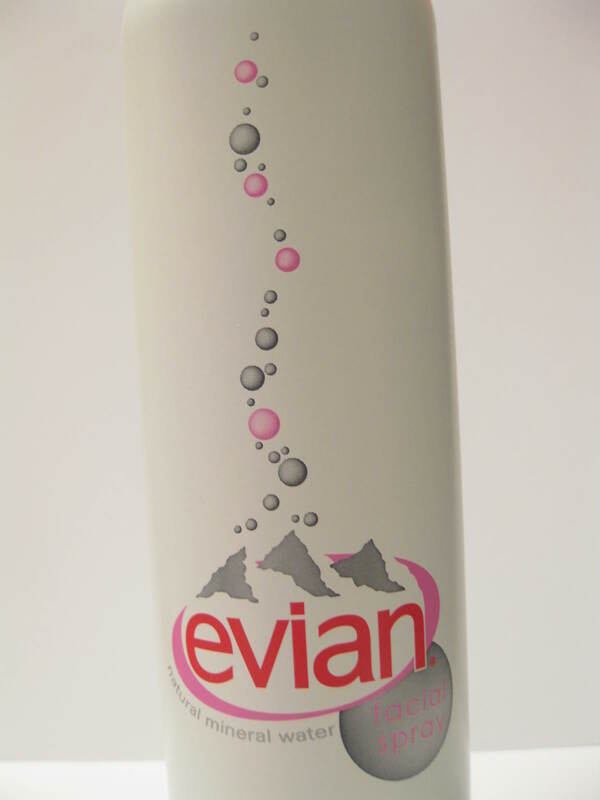 The spray comes in a white aerosal can with the Evian logo and a clearish pink cap. 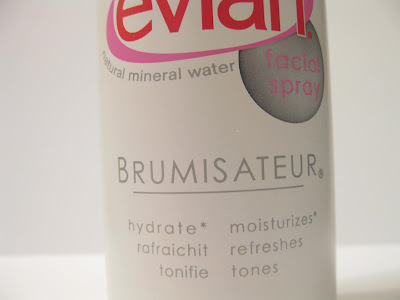 Water as a makeup setting spray? wow i love t hat SO much... can i cut and paste it into my blog?? but give u credit, of course??? Nice article and informative as well. for few of people like me this article is really helpful. Thanks for the information and links you shared this should be a useful and quite informative! Physicians Formula Gel CreamLiner in "Blue Eyes"
All About Gloss: My All-Time Faves!! Smootchkiss is having an awesome giveaway! !